Two of the most traditional and historic golf clubs in the world have launched flexible membership packages that allow people to become playing members for a relatively small amount of money if they don’t intend to play golf regularly. For hundreds of years the financial model of golf clubs has been that people pay an annual subscription, and in return for that receive unlimited access to their club’s course. Temple Golf Club. The latest historic golf club to launch a modern flexible membership scheme. However, following more than a decade of sharply falling memberships throughout clubs across the UK, in July England Golf called for golf clubs to adopt a more flexible approach to memberships to halt the decline. Now, the 123-year-old Lincoln Golf Club, managed by flexible membership fan Craig Innes, has adopted the scheme. Marketed to suit the ‘modern lifestyle’, the £395 a year category can hold up to 50 people and entitles the member to 395 credits (or £265 a year for 265 credits if bought in September). A round of golf can then be redeemed for 10 to 30 credits depending on when it is played and whether it is nine or 18 holes, while an extra £100 of credits can be topped up each year. This means that golfers can join the club for less than £400 per year if they only intend to play slightly more than once a month. Full playing membership at Lincoln costs £845 including a £30 bar card. And 105 year old Temple Golf Club in Berkshire has launched a ‘flexible lifestyle membership for today’s golfer’. The club offers five categories, Blue for £270 per year, Bronze for £500 per year, Silver for £775 per year, Gold for £1,100 per year and Platinum for £1,500 per year. Blue includes nine rounds and £30 green fees for all additional rounds, Bronze has 20 rounds and £25 green fees, Silver has 35 rounds £25 green fees, Gold 52 rounds and £22.50 green fees and Platinum is the equivalent of being full member with unlimited access. And Crow Nest Park Golf Club in Yorkshire has also launched a flexible membership package to attract more players into the game. ‘Crow Nest Park’s Flexible Membership’ allows new members to play up to 18 rounds of golf a year and, most importantly, to get a handicap. They can also play in the club’s midweek competitions. They can play more than 18 rounds at a discounted rate and can play seven days per week, subject to booking a tee time for an annual fee of £330. General manager, Les Holmes said: “ I believe that we are first golf club in Calderdale to introduce such a membership scheme. 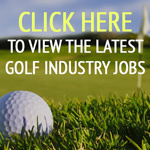 Similar schemes have been introduce elsewhere and have proved popular with those people who have either time constraints on their leisure time or who are looking for a value for money golfing package which meets their financial requirements. If clubs are struggling to maintain numbers of ‘traditional’ membership types then flexible options may be a great help but how do those clubs police/monitor the rounds played for each category of member?